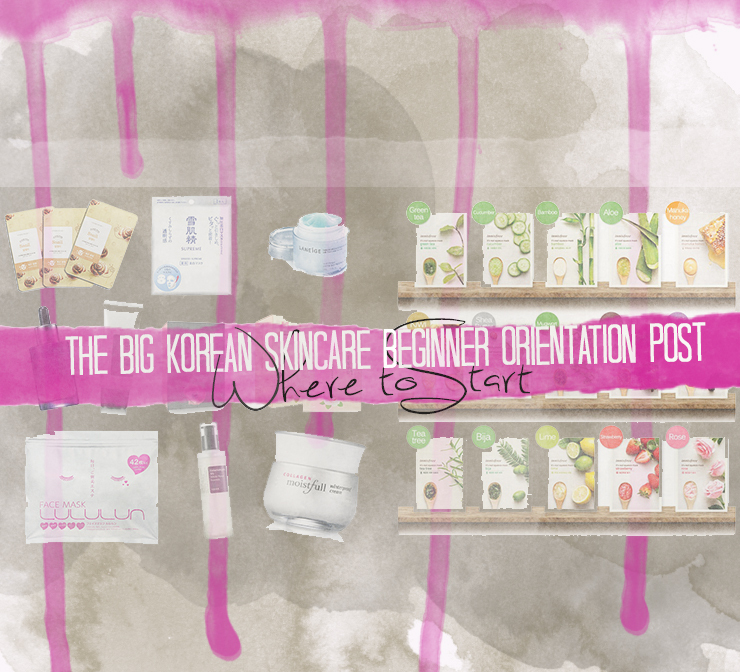 The Big Korean Skincare Beginner Orientation Post: Where to start. Evening lovely gals and gents! Although Korean skincare is getting more popular abroad, I personally feel there is still a lack of comprehensive starter posts. 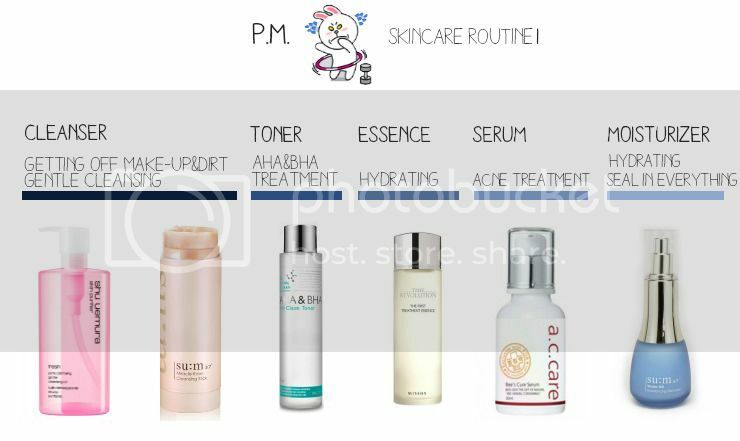 When I first got into Korean skincare I researched excessively to get the best results for my money but it was quite tough to get the basics down. With this post I'll hopefully help everyone interested but not informed enough to start a Korean skincare routine yet! I'll cover basic differences from other routines, a basic guide + explanation about the different skincare items, what they do and where they would fall into your routine. "What exactly is a Korean skincare routine? How does it differ from what I usually do?" 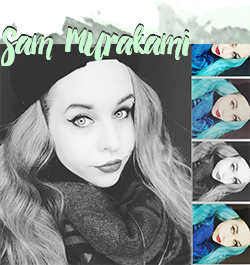 where it would fall into my routine." This is a question that I get a lot recently. In order to make a reasonable judgement it helps a lot to understand exactly which product fulfills which role in your routine. The order depicted here is the usual order recommended, if you are unsure whether you should place a certain product. However, if you feel a certain product works better for you applied to bare skin/after moisturizing etc. that's totally okay too. As a rule of thumb, after cleansing every product is applied from "lightest" (most liquidy, watery-like formua) to "thickest" (rich cream) product - although even that may differ with certain product lines but we can worry about that, once we're diggin' deeper. Oil Cleanser - cleanses off make-up, sunscreen and general dirt. If you think putting oil on your skin won't work because you have oily skin - believe me, it does! I feel it cleanses a lot more efficiently than my regular foam cleanser. However, certain oils can lead to clogged pores so it may take bit trial and error before finding something that works for you. Gentle Foam/Milk Cleanser - cleanses off any oily residue and generally cleanses your skin. You should ideally use a cleanser with a 5.5 PH-level in order to not damage the acid mantle of your skin. 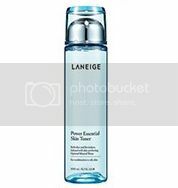 Toner - brings the PH-level of the skin down and prepares the skin for absorbing products. Also, some toners have other beneficial side effects such as brightening or anti-ageing. Essence - comes in all kind of variations; there are essences against acne, for sebum control, anti-ageing, brightening, moisurizing... 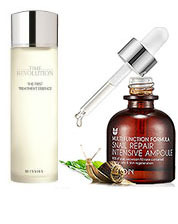 It has a lighter formula and usually a lower percentage of active ingredients than serums. Ampoule - the ampoule is the queen of all treatments; it usually contains the hightest concentration of ingredients for a specific purpose (such as brightening) Because of it's light texture those kind of treatments are able to penetrate the skin faster and provide faster results than it's little sisters essence and serum. Emulsion - a moisturizing fluid that is lighter than a cream. Especially good if you live in a hot and humid climate, in summer or for people with oily skin. I usually get away with an emulsion because my skin doesn't like thick formulated creams - despite being dry! Cream - thick moisturizing formula, especially for winter, dry climates and people with dry skin. If you have combination skin, it could be good to pile a cream on your dry parts on top of an emulsion to balance it out. I think I don't need to explain this :) You should ideally use sunscreen every single day when you're about to spend time outside in order to prevent sun damage, wrinkles and skin cancer, especially when you're pale like me! Asian sunscreens are cosmetically 1000x times more elegant than what we can find in the Western hemisphere. 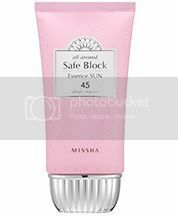 (Just look at that adorable packaging of Missha's Safe Block Essence Sun which is one of their constant best sellers - I am still contemplating whether I like this one or not.) I hated sunscreen until I came across Asian sunscreens and now I use them every single day under my make-up and get paranoid in the rare case I forget. Some of them even make a really good make-up base I must say! NOTE: There are types of products that are labelled differently depending on their regional context. A Korean toner may be called toner, skin refiner or skin, while a Japanese-type toner may be called balancer, softener or lotion (not to be confused with our European conception of a "lotion": the Japanese type usually means a water-like consistency). 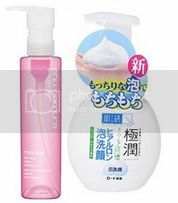 The most popular source for confuse is the Hyaluronic Acid line from Hada Labo; they have a Hyaluronic Acid Lotion (or: ローション rooshon）(which acts as a toner and is supposed to go on your skin first to prepare your skin for absorption), while the Hyaluronic Acid Milk (or: 乳液 nyuueki) is the moisturizing emulsion to be used after the toner. "I am still confused what I should pick up first and how to build a routine of my own." 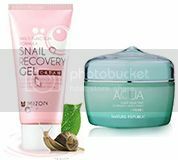 If you're not happy with your moisturizer, the next step could be to look for a good emulsion or cream - I personally love everything that has snails in it because it soothes my troublesome skin. Or, if you're content with your current moisturizer, you could target a specific concern you have with an essence or a serum. Note: I originally wrote this back in December/January and completely forgot about this post until today. I will leave this routine here as an example, but this particular routine did not do well for me (mainly because I thought my skin was oily when in fact it was dry -cough-) so if you're interested in the skincare routine that did work for me, I already recorded a video on that! What personally intrigues me about Korean skincare is that you can mix and match how you like it. I feel almost bad for how I neglected my skin all those years; the only thing I would do is cleanse and use a random moisturizer (that was way too heavy for my skin type). It does take more time in the morning (although I reduce the amount of products to 3-4 most times) but my skin feels a lot better than it has before. Before it was greasy, very oily with lots of clogged pores. I still have clogged pores but I'm working on that with chemical exfoliation which will be the topic of another beginner's post. My skin feels more balanced and I don't get as many breakouts as I did - although it's still bad but that's caused by my adventurous hormones. My skin feels and looks more healthy with finer pores than before. but WHERE DO I GET MY STUFF?? There are quite a lot of online retailers out there who have a good reputation and focus on international customers. The downside of course can be the shipping costs (depending on the store) and the waiting times (usually 2-6 weeks for Europe with air mail.) Some retailers that I personally have used and liked are Jolse, Wishtrend, RoseRoseShop, Testerkorea and Sokoglam. All of them ship from Korea, except Sokoglam that is located in the US, but ships to Germany and most European countries. So far, there is no single online shop located in Germany/Europe that sells Asian cosmetics in a comparably priced manner (There are shops but their markups are INSANE. Always look up what the original Korean price is and judge for yourself it the item is worth its money or not.) Certain things are also available on Ebay and Amazon but be aware of counterfeits! If the deal sounds too good to be true, better be safe than sorry. If you want to dive deeper into Asian skincare or stay with your basic routine is a decision everyone has to do for themselves. I personally feel that I can never go back to just cleanse and moisturize. Once you crossed the border to secret glittering Korean skincare magic wonderland, you can probably never turn back. I hope this post was helpful for anyone still pondering if and where to start! If I didn't adress any of your questions feel free to ask away in the comments.